We’re bringing our pancake robot to MesosCon in Denver for a pancake breakfast. We’ll eat pancakes (made by the hotel), print pancakes (made by PancakeBot) and talk about distributed systems with Apache Mesos leader Benjamin Hindman and Jessica Frazelle, a well-known senior technologist now with Mesosphere. They’ll be joined by Intel Senior Principal Engineer Murali Sundar, who works on Intel’s software-defined infrastructure group. We’d like to thank Intel, which has made it possible to have these pancake breakfast discussions and bring PancakeBot out on the road. 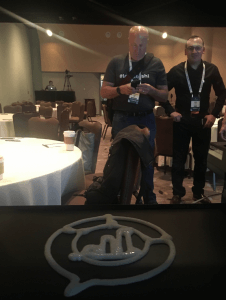 If you can make it to the MesosCon breakfast, we expect it is a pancake breakfast you won’t soon forget. RSVP here. Our pancake robot is quickly establishing its own identity. We brought it to Cloud Foundry Summit and it just kind of fits. 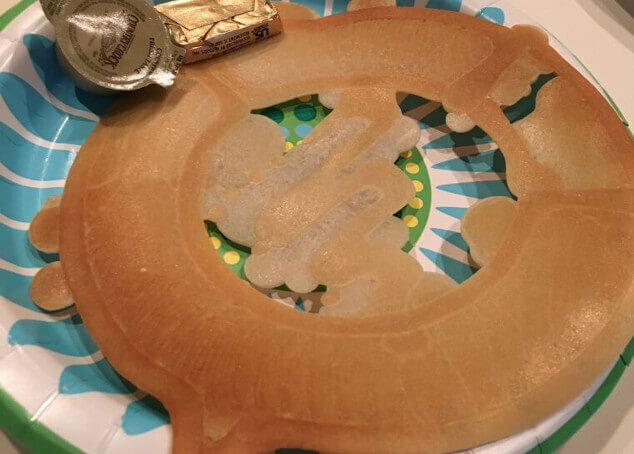 People love pancakes and the new 3D printers give glimpses of a new reality that marries pancakes with robots, art and, for our purposes, conversations that provide a different context for discussing topics such as programmable systems, distributed frameworks and this whole idea of the multi-cloud. 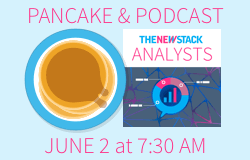 Join us for pancakes and a podcast at MesosCon, June 2, in Denver, for a discussion about Mesos and the multi-cloud. Come see the pancake-bot and have a short stack with The New Stack. Location: Hyatt Regency Tech Center, Grand Mesa Ballroom F.
Our pancake robot is representative of a future that you can quickly imagine if you think of how this simple machine could theoretically be connected with other nodes through APIs. With that extensibility, it leads to questions about what infrastructure is needed to support these things like PancakeBot that will be connected by the billions. How infrastructure will adapt mean some complex models to consider. Mesos is considered one of the most advanced distributed systems, acting as one operating system for a data center or multiple connected ones. How will Mesos be applied to connected things across multiple clouds? What are the architectural concerns? What are the considerations for networking, security and storage? We’ll take the same approach at MesosCon as we did at Cloud Foundry Summit. 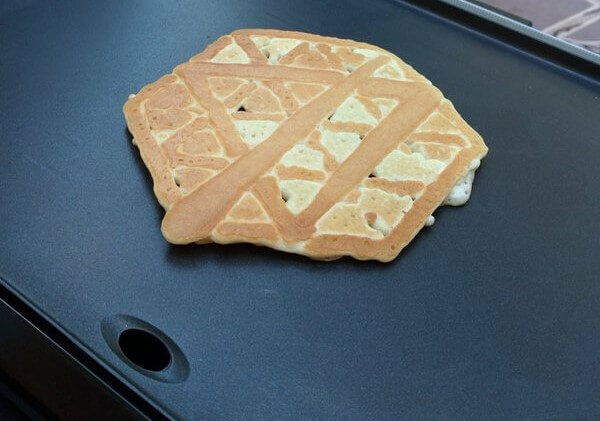 We’ll arrive early and start printing pancakes that we will use to give out as mementos for those who ask questions. We’ll be there to chat and catch up. We’ve been doing these pancake breakfasts with Intel since last year and they are good fun. Now at MesosCon, we’re entering a new future — with a robot, of course. Cloud Foundry Foundation, Intel and Mesosphere are sponsors of The New Stack.